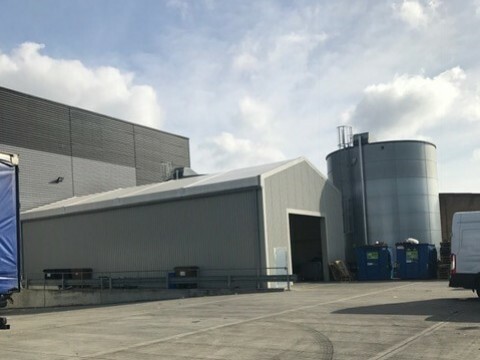 4D Planning assisted the client to obtain retrospective planning permission for erection of a large industrial canopy and enclosed shelter for use of the company to provide shelter to unload and load from lorries and large vehicles. 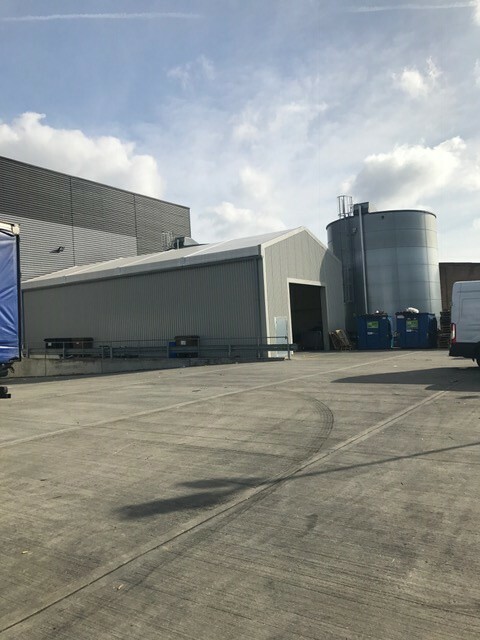 The canopy is designed to match the surroundings and we argued that it was a suitable addition to the existing warehouse. The canopy would further enhance the operation of the business and assist the local economy while protecting the amenity and character of the area and neighbours. 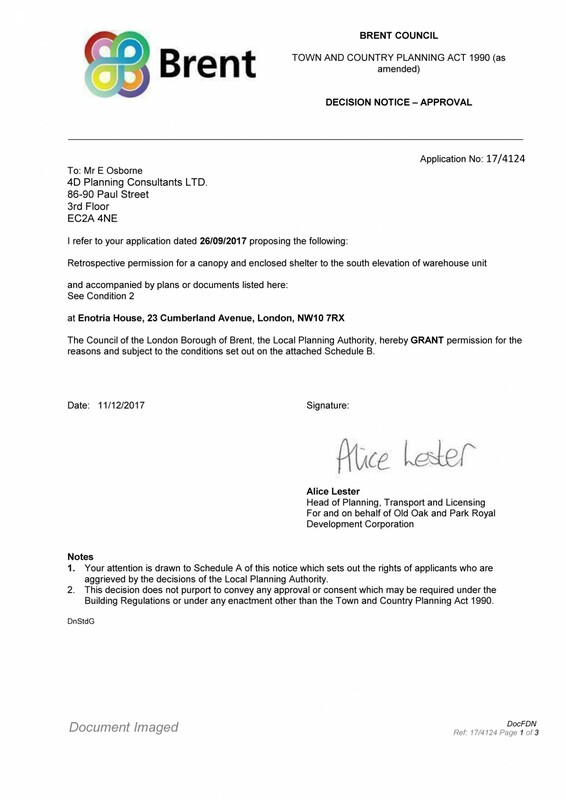 Brent Council granted retrospective planning permission for the development. 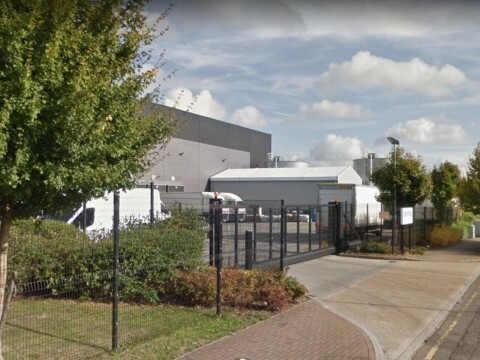 Further information about the site and proposed development: The site and its vicinity are dominated by commercial land uses, including both of warehousing and offices for large retailers, with a particular focus on the food and drinks industry. The local highways are constructed to a high standard in terms of promoting access for large vehicles. The public realm includes landscaped verges between properties and the public highway. 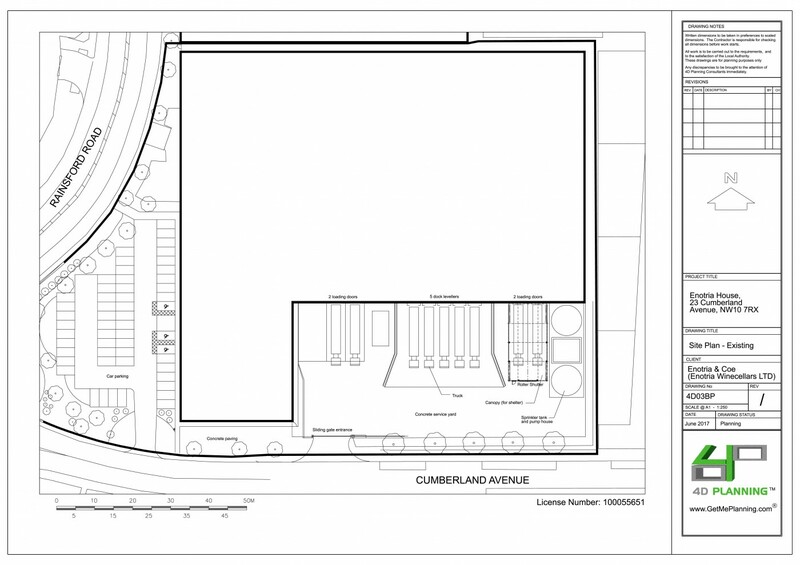 The site comprises warehousing, associated offices used by the applicant, parking for 55 cars, and hardstanding space for heavy goods vehicles where loading takes place. The hardstanding area includes a canopy towards the east which is 20m long, 10m wide and 5m clear height. 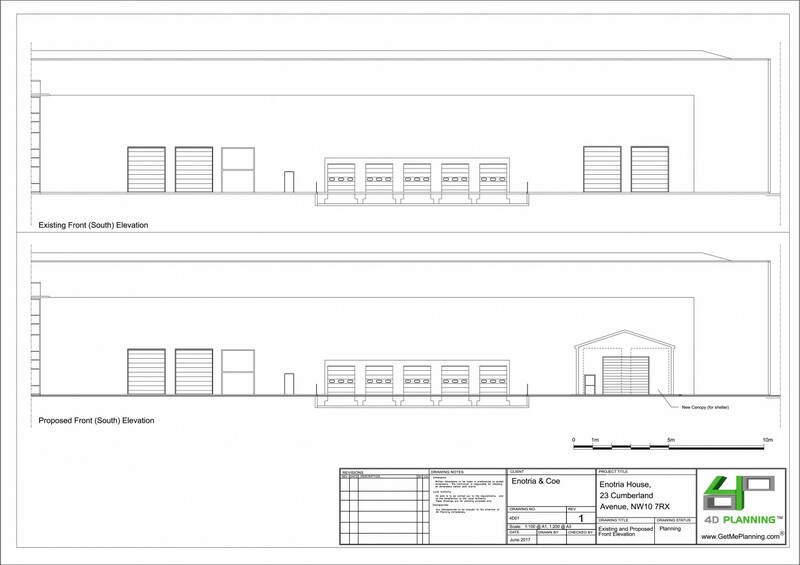 This is sufficient to accommodate two 16.5m articulated lorries with loading areas. 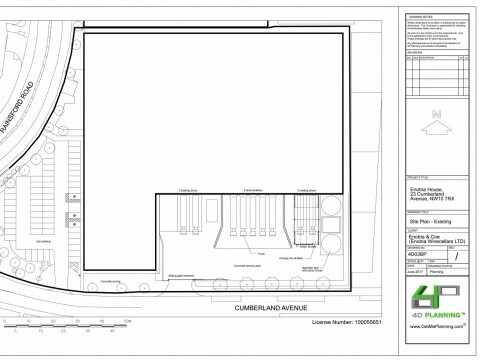 The site is located in an area characterised by warehousing under B8 land use. 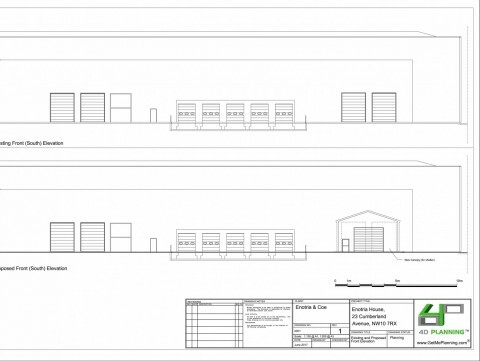 The scheme for consideration is the canopy which has been constructed to provide weather protection for loading activity, in order to ensure that crates and perishable cardboard boxes are safe from rainfall. As such the canopy is provided to assist the viability of the business. 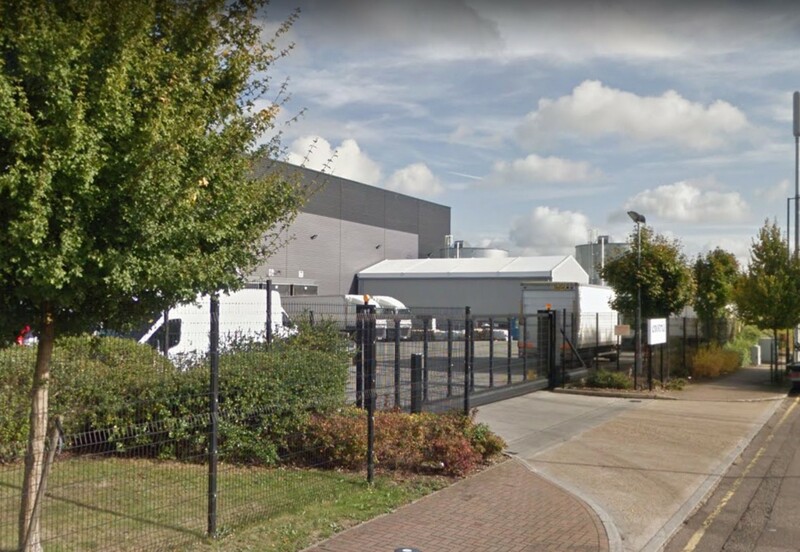 The canopy is secured by a roller shutter, which provides access and egress for HGVs undertaking loading or unloading.